My first 6 weeks here and I can’t believe how fast the time has gone! Between our holidays at home and the holidays celebrated here, it is almost impossible to get things done. 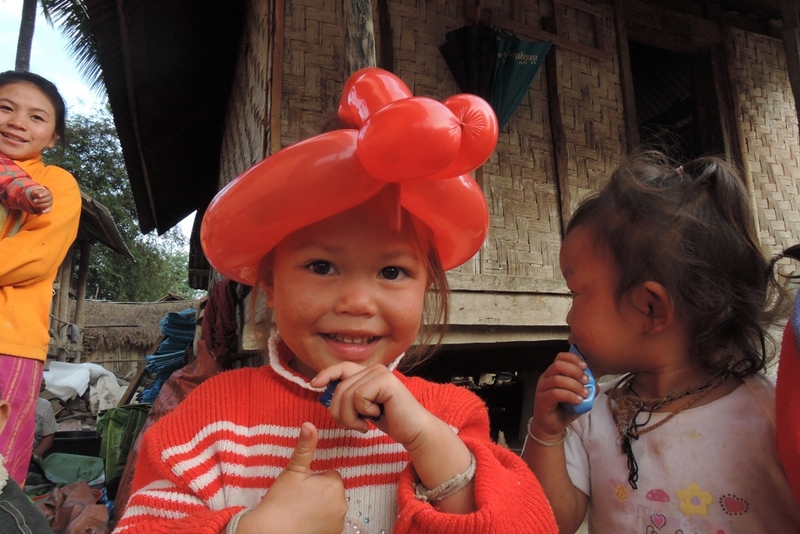 The Khmu/Lao New Years celebrations go on for a month – each village celebrates their own, on a different day so of course all the neighboring villages go to celebrate with them. They also take time off in the city for our New Years too. It drives me crazy because nobody shows up for work when we try to buy materials. There is a backlog for cement blocks among so many other things. 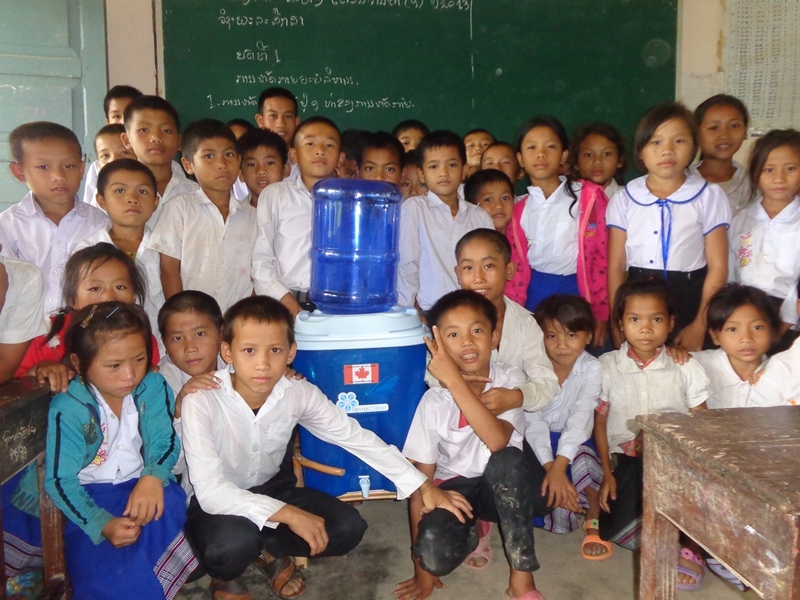 Our first order of business was to get as any of the water filters distributed before Christmas. 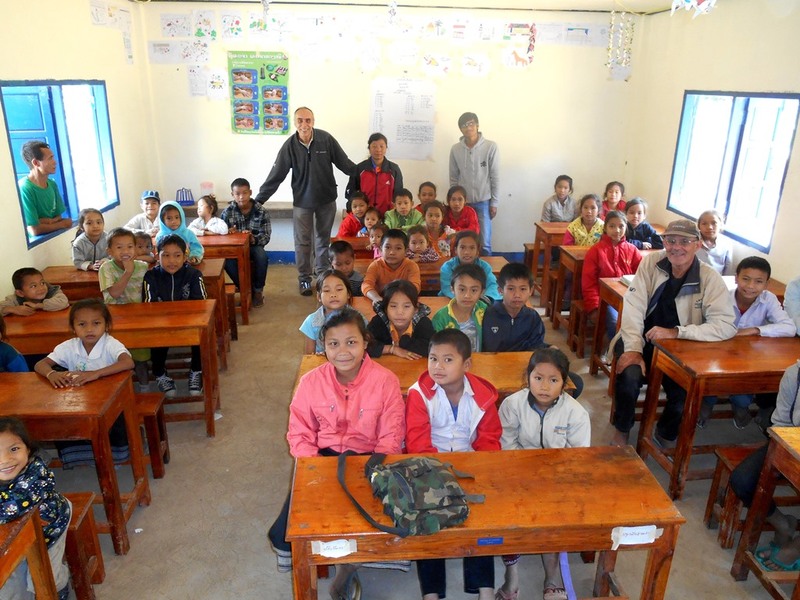 There is only one village left from last year that still needs another 130 systems but other than that, we managed to complete four other villages. It is a fulfilling experience for everyone. I warned the villagers that if they didn’t ‘Nyim’ (smile) for the photo I would only give them the stand. They were a lot of fun to joke with. 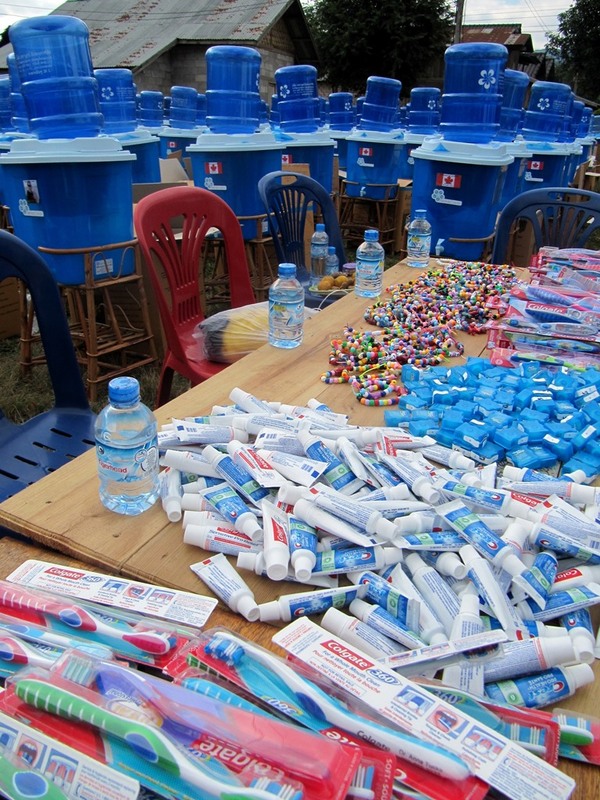 In two days we were able to distribute 242 water filter systems, teach hygiene courses and offer toothbrushes, toothpaste, dental floss and colourful bracelets for the young ones. With sincere thanks from Dr. Anna Tucka for the dental supplies and my niece Rebeka (and her grandmother), the villagers were pretty happy. 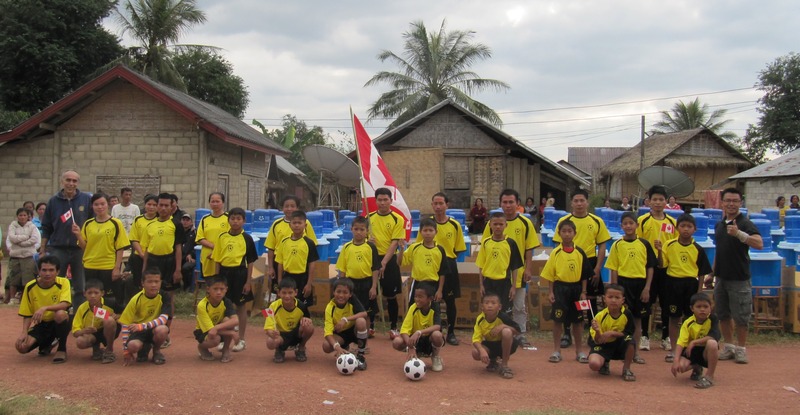 In PhonSavanh, we were also able to provide two football teams of sport jerseys and shorts for the primary students and a teachers team, thanks to the kind folks at Afrisoccer who collect and provide used sports clothing. The students were pretty excited to receive sport uniforms for their teams. 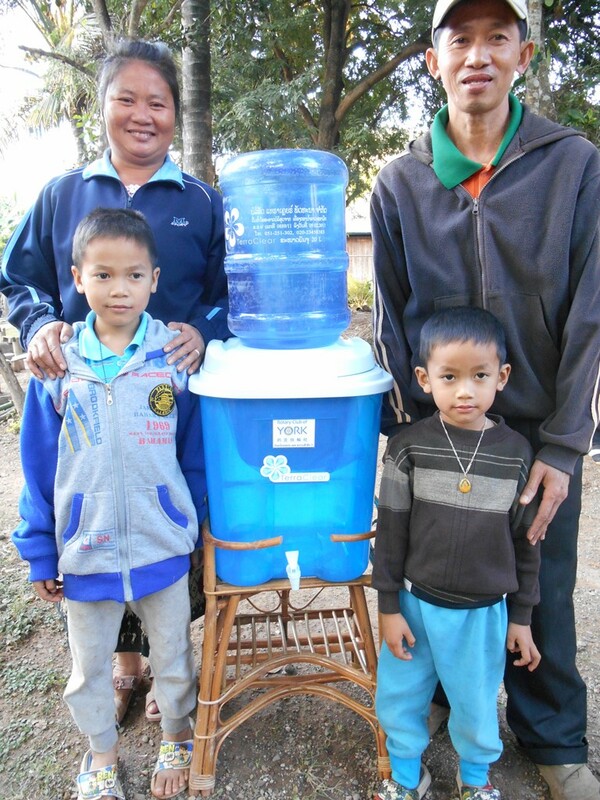 During our visits to Ban Na Lea, we started a toilet project there in advance of a planned water project. 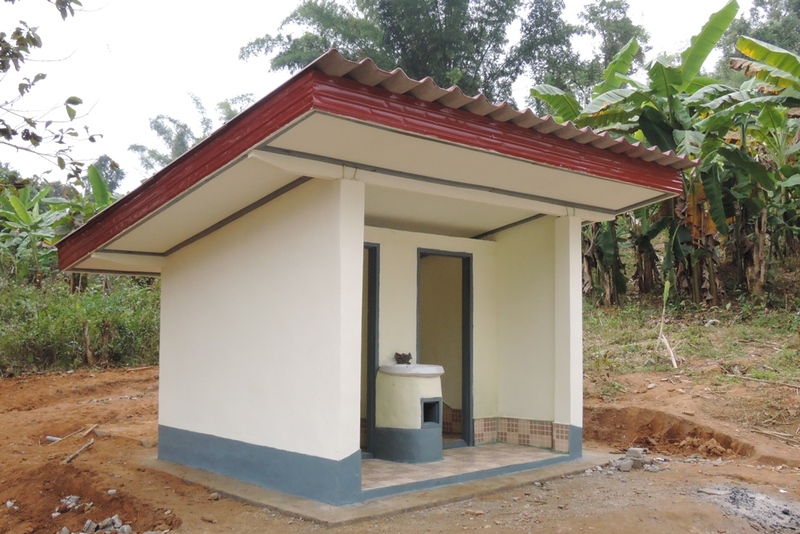 We are just waiting now for the doors to be delivered and the water project to be done but essentially, it is finished. 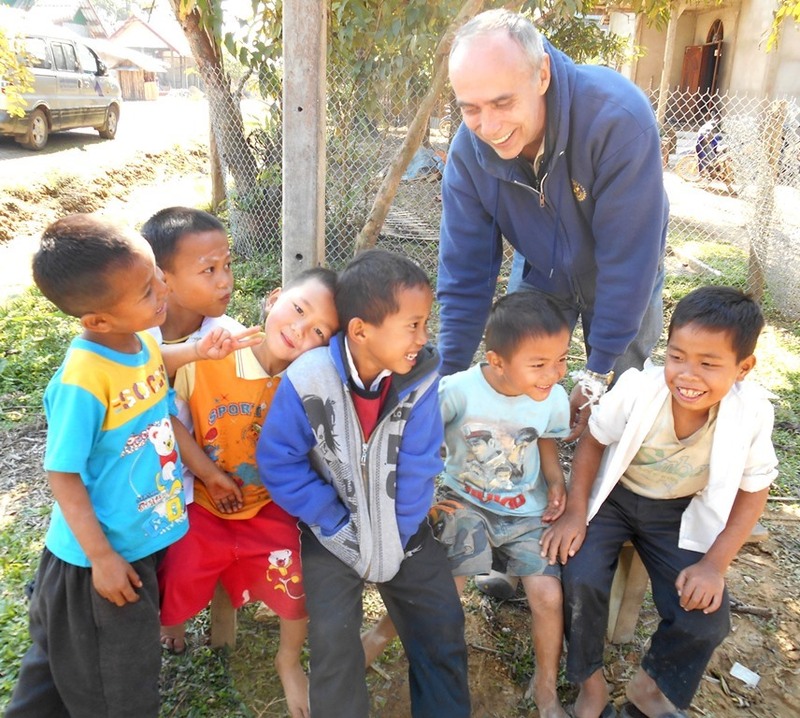 While there we investigated the proposed water source to be able to bring water to the village and to the school. The village felt that they did not need an engineer and I wanted to get more detail on what they proposed. Here I am discussing options (for translation) with Siphan, our co-ordinator. The trek was about 3km – most of it was pretty easy but the climb at the end was a bit tough for me, not as bad as earlier treks but it was still a challenge. There is lots of water there and should serve as a great source for the village, however I didn’t have the confidence from the villagers, or myself, or from other visitors who had suggestions, that we knew enough to make a decision. None of us are engineers and so I decided we better get one. I am not going to experiment with donor money. During the course of visits to several other villages we, along with our guests Marcus and Charlotte from France, Ian from New Zealand and Art from North Carolina, we captured these images. 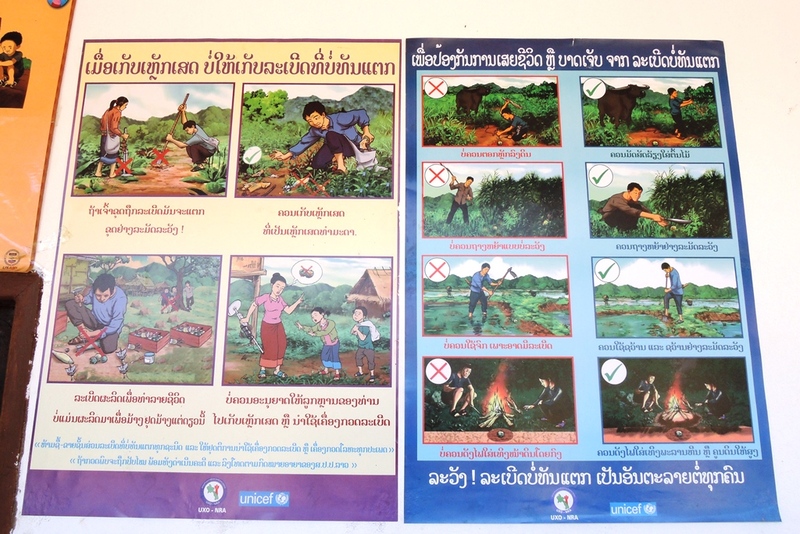 This was posted on the Hat Kham school to warn the children about the dangers of unexploded bombs. 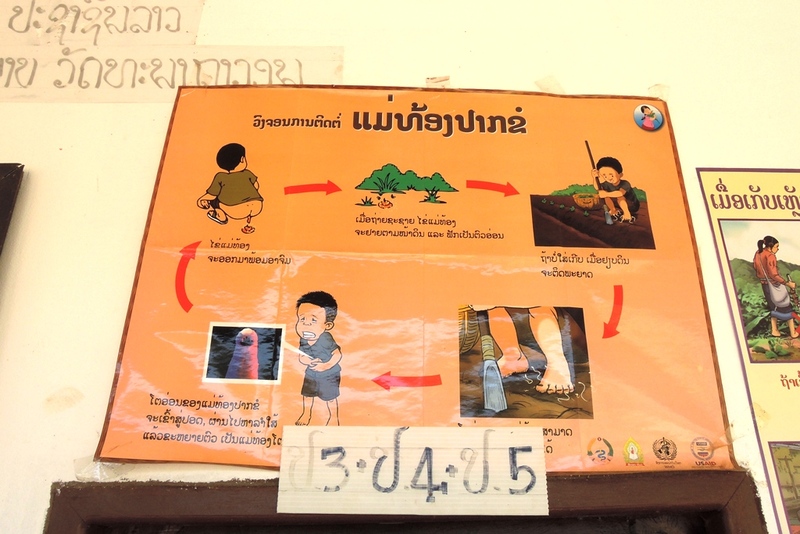 This was another poster describing a flowchart about pooping! 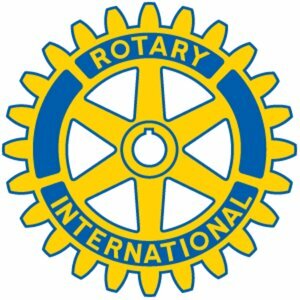 We also visited the hospital where we had done a lot of work over the last couple of years, thanks to the Rotary Club of Oshawa. I guess we peaked the interest of the province and they decided to significantly expand the hospital with two patient wings. The original building is used for various patient departments like a dental clinic. 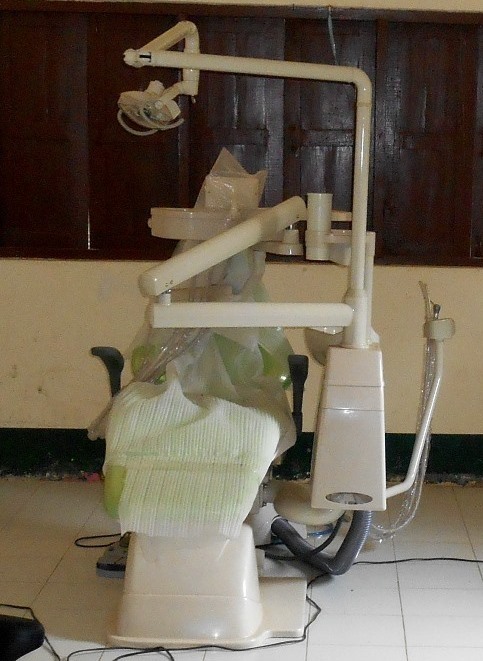 It was great to see the new dental chair and we were told they had a dentist, BUT the dentist had only the chair, with the air and water inputs but the dentist had not basic tools, drills or anything that could allow him to do the simplest of tasks, or even diagnosis for that matter. It was certainly a surprise to see a state-of-the-art dental chair with light, irrigation and air. 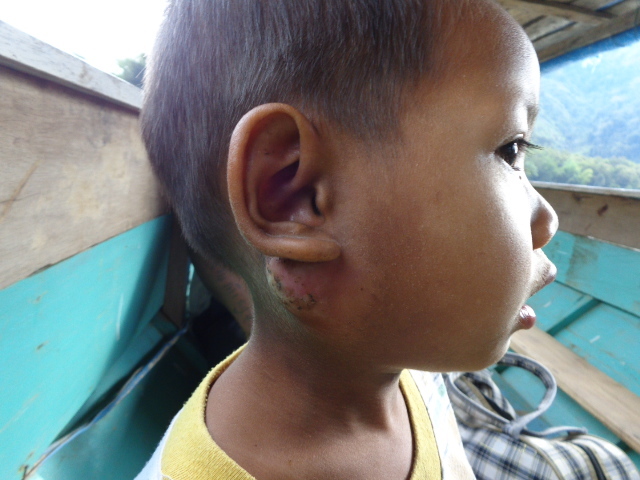 While we were in the village of Hat Kham, one of the kids had a big bulge from their neck. I asked the mother what it was and she said she didn’t know and didn’t have money to get medicine. She said he got it about 10 days earlier and it has been growing ever since. 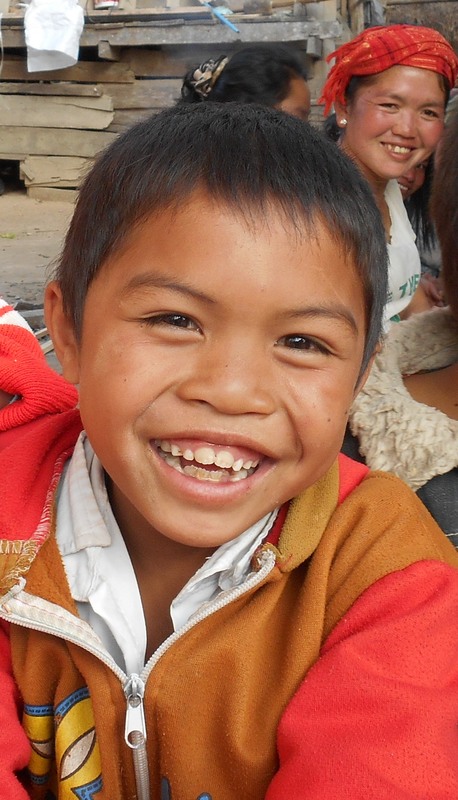 Within a half hour, he and his older brother were in the boat with us to go to the clinic in Nong Khiaw. I just couldn’t leave him in that condition. Apparently four people had to hold him down while the doctor cut it open…I am guessing without anesthetic…Yikes! It cost me $50 which included to doctors visits, the operation, food and accommodation for the two and a boat trip back! I was told this morning that he has fully recovered! Yeaahhh! 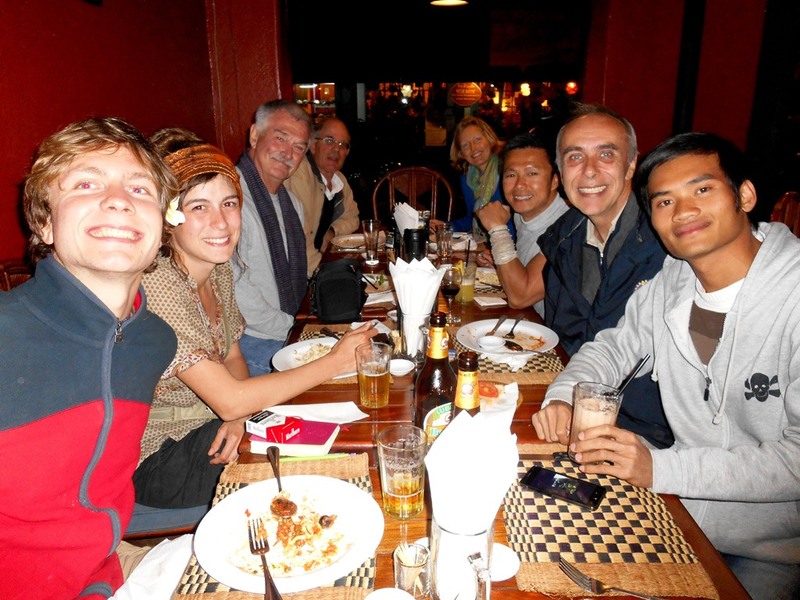 To end our year, we celebrated a New Years Dinner at a French/Italian Restaurant. Total cost for 9 of us was 1,150,000kip….or $143 – included appetizers, main meal, dessert and drinks…WOW! Cheers to a successful New Year!